My first day of Thanksgiving vacation.......I spent the majority of today shopping around Tampa with my best friend. Every store, restaurant and bar we stopped in had Christmas music playing in the background. Normally I would complain about this craziness but that was not the case. I am no longer the self proclaimed Grinch who took over my life during the past 10 years. I am looking forward to putting up the tree and decorating for the Holiday's. 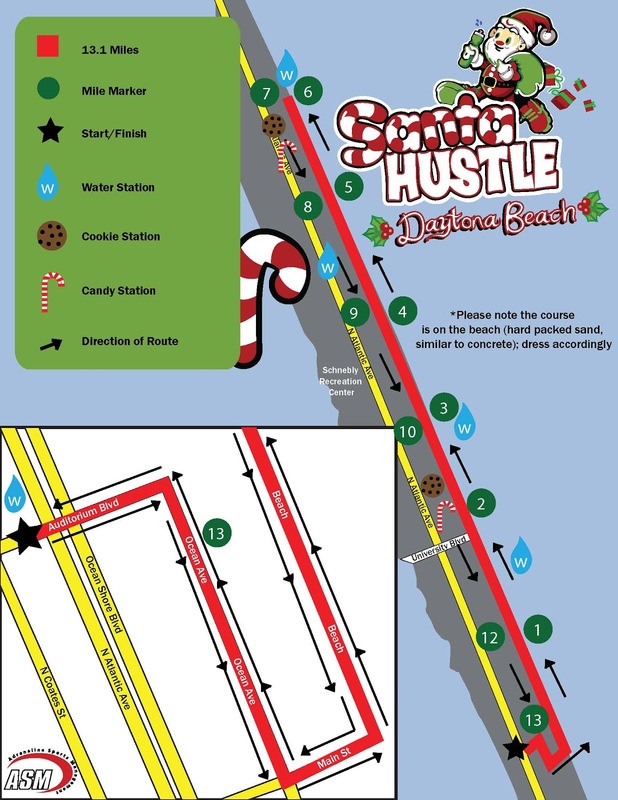 I am very excited to be running my first Half Marathon in the city I was born, Santa Shuffle Half Marathon Daytona Beach. 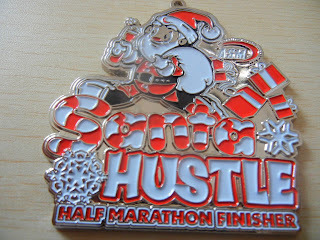 The medal was released yesterday which I will be happily calling my own in 2 1/2 weeks. This medal makes me happier than you could ever imagine. 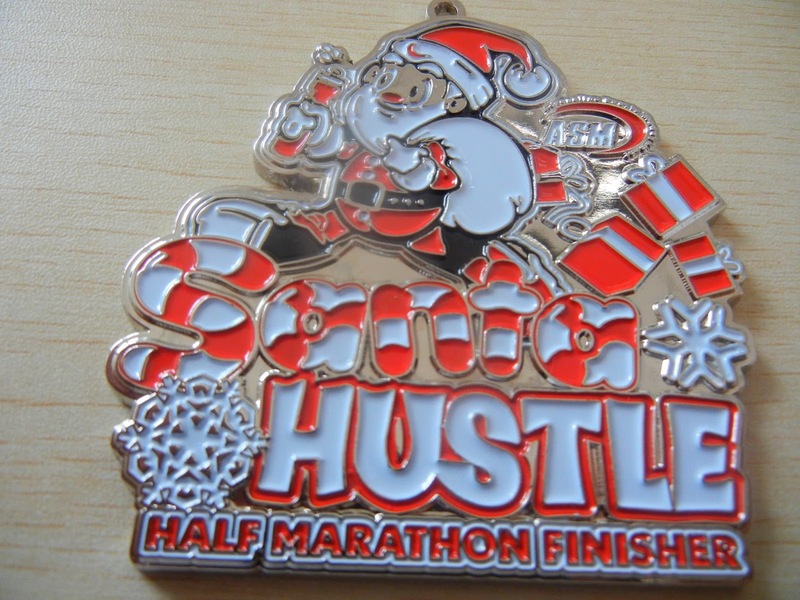 I always thought my first half would be the Disney Princess Half 2013.....yet I am getting to the goal 2 months early, while eating cookies, singing carols, eating candy and drinking cocoa. If you follow my blog, you know I dress up for my races. Remember I swore off non athletic knee highs on races? Well, I am taking chances again. I bought obnoxious candy cane striped knee highs with bells on them. These socks will literally blow my Mom's socks off. I spent the past 5 years making fun of her jingle bell socks which I try to hide from her year after year. I hope I can pull this off over my CEP calf sleeves. I guess you can say, like mother like daughter. 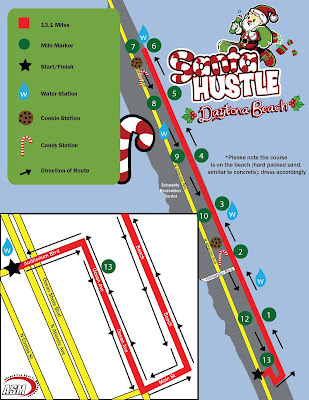 Through November 24, the entry fee is only $55. This is a steal!!! Along with the medal above, you also receive a tech shirt a beard and a bib! Click here to race with us in Daytona Beach.